Though he’s certainly been around, it feels like it’s been a while since we’ve seen something from Johnny Depp to actually look forward to. 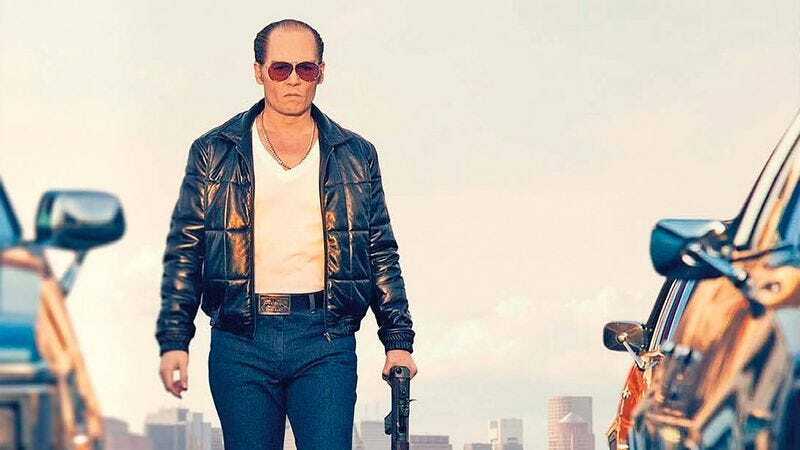 Thankfully, this fall there’s Black Mass, a biopic about Boston mobster “Whitey” Bulger that allows Depp to dig into yet another flashy “character,” while (hopefully) giving him some meaty material worth digging in to. The film, from Crazy Heart and Out Of The Furnace director Scott Cooper, focuses on Bulger’s shaky alliance with the FBI, specifically via Agent John Connolly played by Joel Edgerton. Also filling out the stacked cast are Benedict Cumberbatch, Dakota Johnson, Kevin Bacon, Corey Stoll, and Adam Scott. Black Mass hits theaters on September 18, but The A.V. Club and Warner Bros. have an opportunity for you to see it for free on September 14. For your chance to win a pair of passes to the advance screening, simply follow the link here and enter your information. Seats will be first come, first served, so be sure to arrive early. An official plot synopsis and trailer for the film can be found below.